garden upholds the premium Everleigh streetscape. Be sure to seek advice from your engineer for any retaining walls or fencing requirements. The following Landscape Plans present typical garden layouts for both Primary and Secondary facing lots. Plans will likely require customisation to suit the unique site conditions. 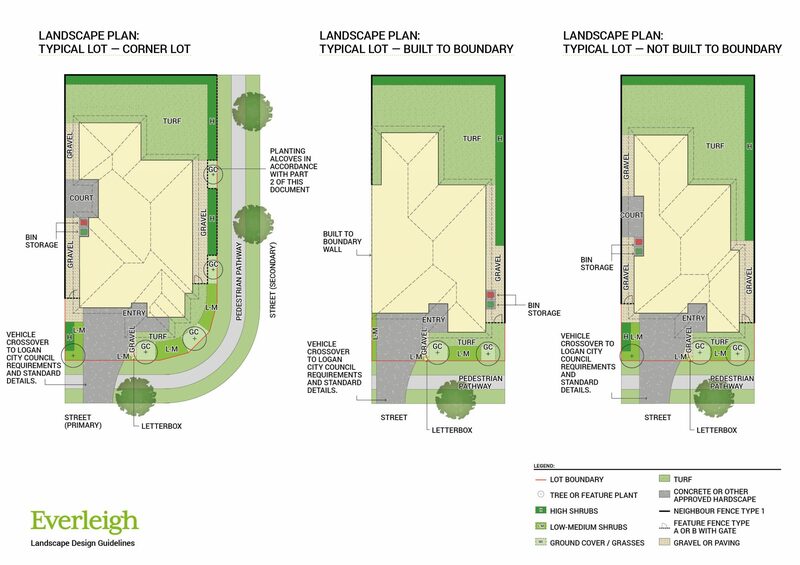 Please take care to read further on Landscaping in the Everleigh Residential Design Standards & Guidelines.